The six-piece from Birmingham, Alabama, are renowned for going big on their live shows, and tonight is clearly no exception. Why See St. Paul and The Broken Bones? Birmingham, Alabama natives St Paul and the Broken Bones blend tight horn lines and Southern-fried soul to form music that's buzzing with electricity. As such, their live shows are no sit-down affairs and front man Paul Janeway brings the gospel-soaked goodness of his vocals to stage with the energy of a young James Brown. The sextet first burst onto the indie scene when they formed in 2011 and has gone from strength to strength ever since, with a full length album released in 2014 and numerous national and international tours. Don't miss this chance to see one of the most authentic soul-revival sextets around! 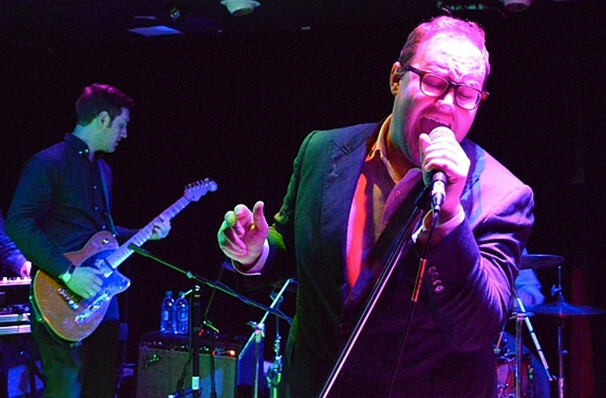 Seen St. Paul and The Broken Bones? Loved it? Hated it? Sound good to you? 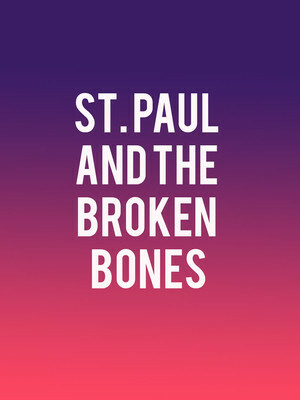 Share this page on social media and let your friends know about St. Paul and The Broken Bones at The Pageant. Please note: The term The Pageant and/or St. Paul and The Broken Bones as well as all associated graphics, logos, and/or other trademarks, tradenames or copyrights are the property of the The Pageant and/or St. Paul and The Broken Bones and are used herein for factual descriptive purposes only. We are in no way associated with or authorized by the The Pageant and/or St. Paul and The Broken Bones and neither that entity nor any of its affiliates have licensed or endorsed us to sell tickets, goods and or services in conjunction with their events.